Craft your unique sound. 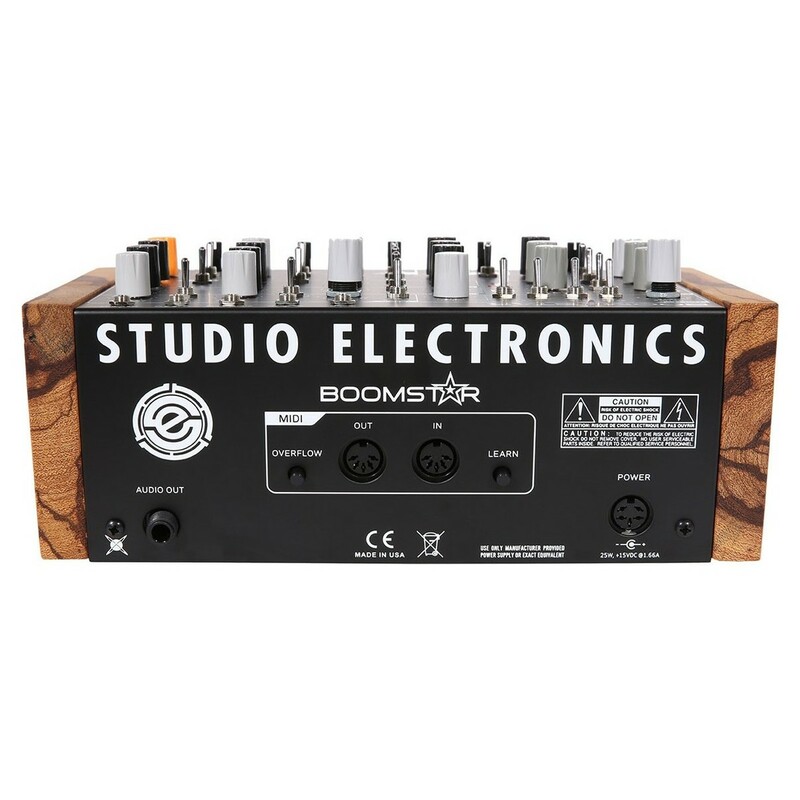 Studio Electronics' Boomstar 4072 MKII brings you the best of old-school analog in a compact desktop unit. Lifted from the heart of ARP's classic 2600 synthesizer, the four-pole 24dB/octave filter is that legendary 70s sound. Built using discrete circuity and hand-matched transistors, it's paired with two premium VCO sound sources to produce thick, punchy harmonics. It's been designed to give you the most opportunities to create own unique sound, with extensive options including two ADSR envelopes, ring modulator, XMOD, and white noise generator. Premium sound quality comes with premium durability. 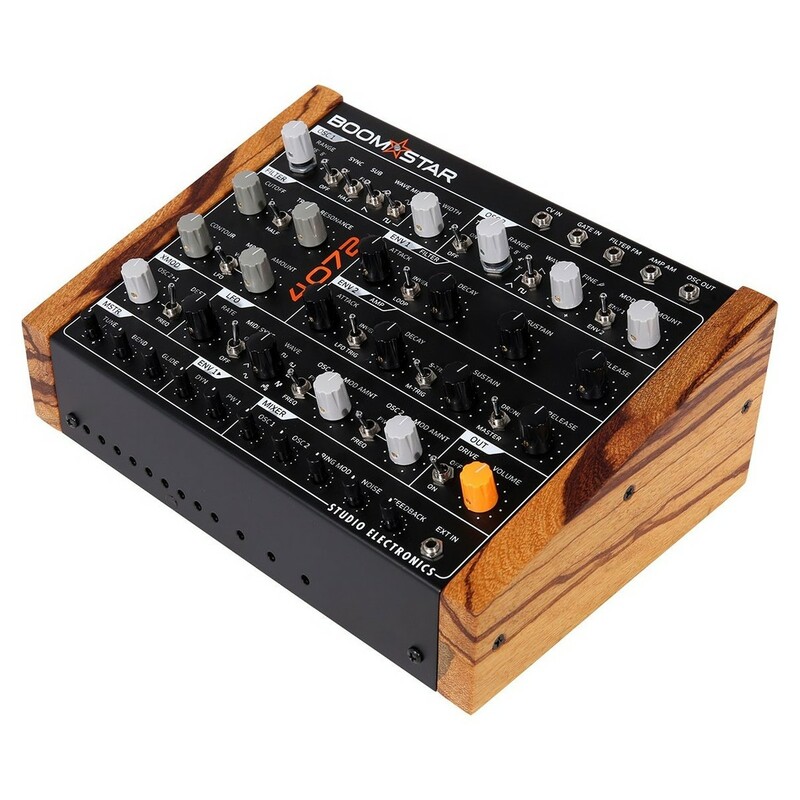 The Boomstar MKII is built with discrete analog circuitry and a sturdy steel chassis, finished with beautiful, handcrafted wooden ends. It's a reliable workhorse built to last. Great, thick analog sound in a portable desktop box. Studio Electronic's Boomstar 4072 MKII combines old-school analog with one of the most iconic synth filters in history. Satisfy your curiosity for endless tweaking and customisation, without the need of rewiring countless individual modules. 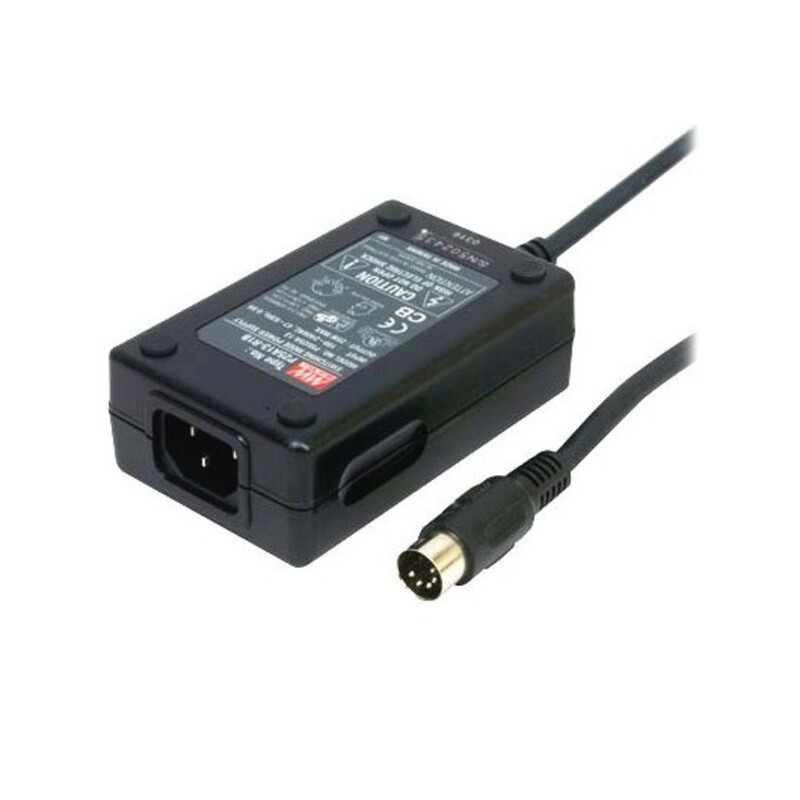 Or expand your existing modular setup using the modulation and external inputs to craft something truly unique. Whatever your preference, the Boomstar will play flawlessly via MIDI or CV and is built with hand-matched, discrete components for maximum sound quality and longevity. Lifted directly from ARP's classic synthesizer, the four-pole 24dB/octave filter has a distinctive resonant character that you've heard countless times before. Artists including David Bowie and Frank Zappa used ARP 2600 synths - now you can faithfully reproduce the 70s sound. For premium quality, the Boomstar ARP 2600 filter has been crafted using completely discrete, through-the-hole circuity and hand-matched transistors. Studio Electronics has even corrected the notorious 12kHz miscalculation of ARP's initial design, providing a full frequency range without compromise. Quality synthesis begins with a premium sound source. 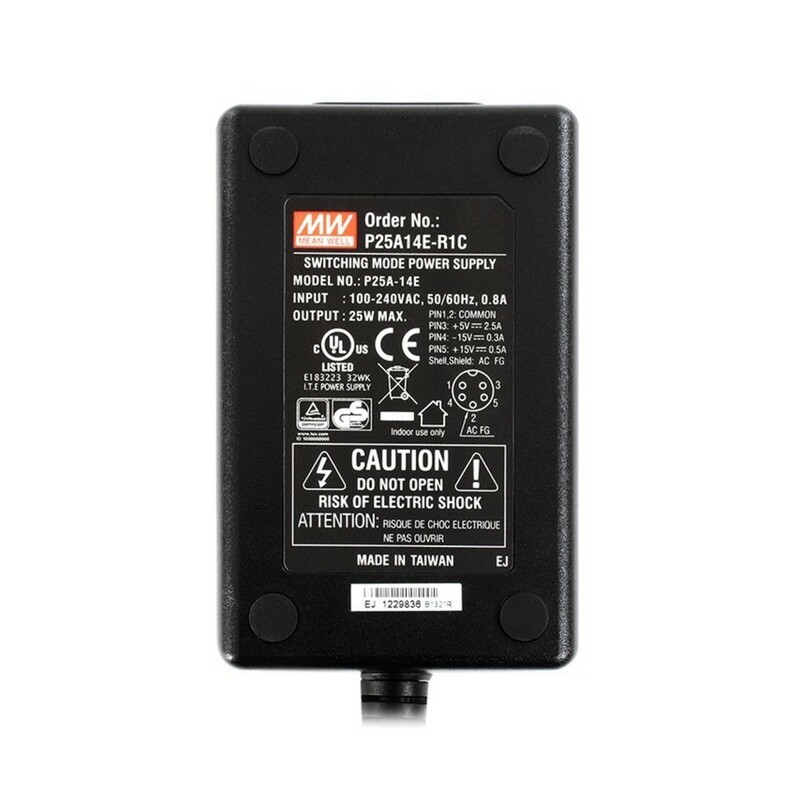 The Boomstar's two oscillators (VCOs) have been designed to produce a thick, pure sound quality. With VCO1, you can combine up to three waveforms simultaneously to produce a lavish sound with huge harmonics. Wave shapes include triangle/sawtooth, sine/square, and sub-octave. Thicken the effect with VCO2, which includes a fine tuning knob and oscillator sync to add extra musical details. To boost your sound's character, the Boomstar's powerful low frequency oscillator (LFO) provides nine unique wave shapes. Easily affect the filter and envelope - or control each VCO's modulation individually - for evolving and organic sounds. The Boomstar's two ADSR (attack, decay, sustain, release) envelopes give you extensive customisation over your sound's dynamic contours. Go into to detail with invert, loop, drone and master modes to refine the tone. 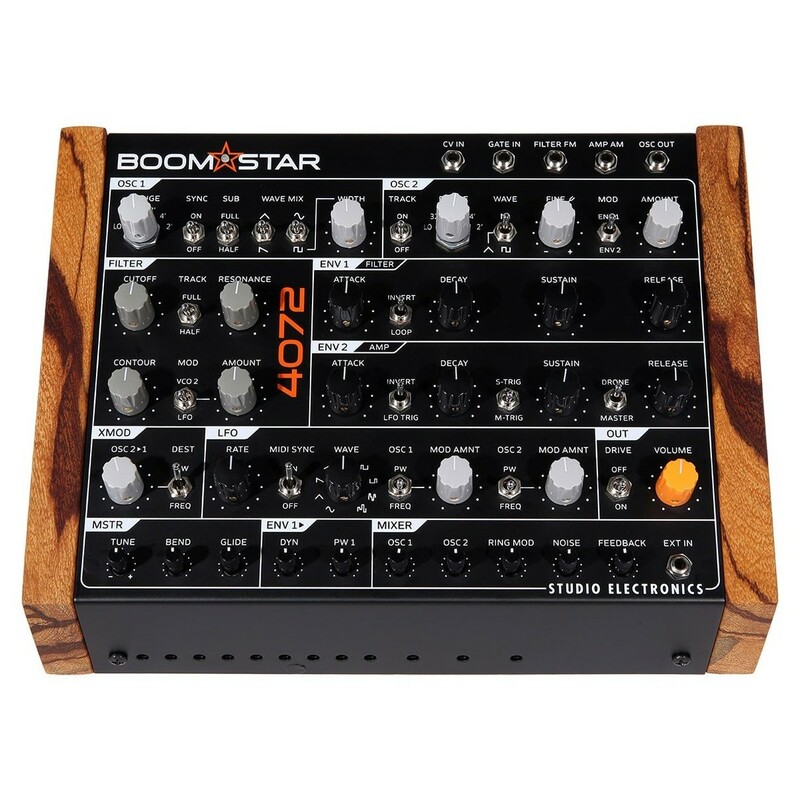 If the legendary filter and top-quality envelopes aren't already enough for you, the Boomstar also includes an oscillator XMOD, Ring Mod, and White Noise Generator for extreme special effects.